Lady Bulldogs play at Rushville. The Batesville Lady Bulldogs opened their 2016 campaign with a 13-0 victory over the Rushville Lady Lions. The Lady Bulldogs scored early and often in the first half. Freshman Carlie Werner scored her first career goal just 2 minutes into her first high school game. Carlie Werner received the ball on the left wing from Georgia Gratz, dribbled past two defenders and lofted a shot from 25 yards out over the Rushville goalkeeper. Batesville would add a 2nd goal just a minute later with a great 1-time finish from Gratz. Junior Gabi Garcia dribbled past several defenders on the right wing and crossed the ball into the box where Gratz connected on the end of it. Senior Sylvia Phillips scored a breakaway goal after her classmate Carissa Werner played a ball from the defense into space behind the Lions back line. Taylor Rowlett added goal number 4 for Batesville on an unassisted goal. Carlie Werner scored her 2nd goal of the match off a nice pass again from Garcia. Freshman Liz Heidlage scored her first career goal on a great left-footed shot from outside the box. 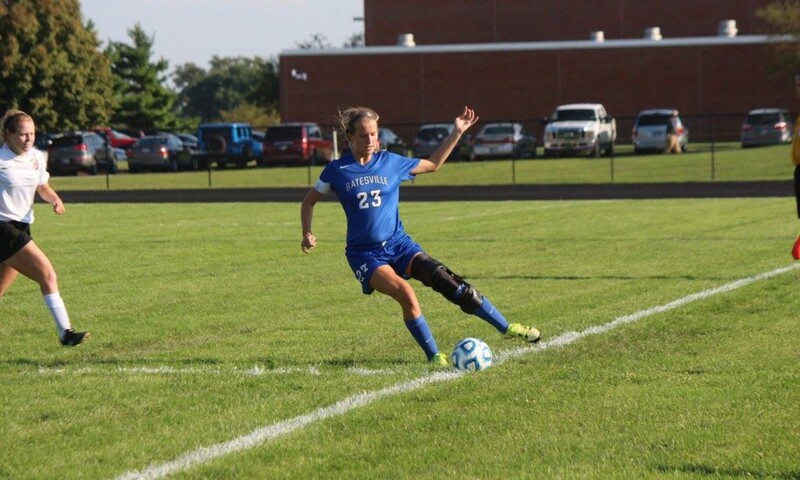 Sophomore Hailey Mohr tallied 2 goals in a row for the Lady Bulldogs. Sophomores Marigrace Anderson and Ashlyn Czerniak had the assists on each of Mohrâs goals. Garcia was on the scoring end of the next Batesville goal. Garcia intercepted a Rushville goal kick and broke free through the Lion defense for goal number 9 in the half. Anderson connected the 10th goal after Czerniak was able to find Anderson open inside the box for the score. Rowlett rounded out the first half scoring for her 2nd goal of the match. Carissa Werner was credited the assist. Batesville added 2 more goals in the second half. Rowlett finished off her 3rd goal of the game after Phillips played a through ball into space behind the defense. Freshman Maura Litmer also scored her first career goal in her first match. It was an unassisted goal that Litmer took down the left wing. Batesville led the possession battle 75% to Rushvilleâs 25% for the game. The Lady Bulldog defenders did a great job limiting the Lady Lions to one shot for the first 65 minutes. Batesville is now 1-0 on the season and 1-0 in the EIAC. They will be back in action Thursday, August 25th against Greensburg! The Junior Varsity team played 1 half of soccer following the varsity game. 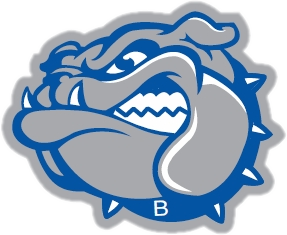 The Lady Bulldog defense set a goal for themselves to maintain a shutout in their first outing of the season and they lived up to that goal on Thursday night. They defeated the JV Lady Lions by a final score of 5-0. Scoring for the Lady Bulldogs were Maura Litmer (2), Lizzi Copeland, Britany Venis, and Abby Dennett.